Aeronautical & General Instruments Limited (AGI) have over 20 years experience and proven success with the design and manufacture of solid state Military specification ship-based electronic equipment and Visual Landing Aids, with the LPD – Landing Period Designator (Quiescent Period Predictor) being the latest addition to the product range. 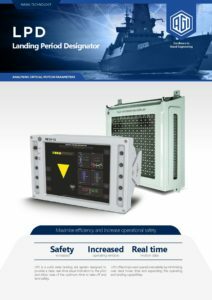 The Landing Period Designator (LPD) is a solid state landing aid system that is designed to reduce air and ship crew workload associated with aircraft launch and recovery operations on moving ship platforms by providing a clear, real time visual indication to the pilot of the optimum time to take off and land safely (i.e. the quiescent deck motion period or quiescent period prediction, QPP). In addition to reducing the risk of aircraft undercarriage or structural damage, LPD offers improved operational safety by minimising over deck hover time and provides increased tactical flexibility by expanding the aircraft operating and landing envelopes, regardless of the sea condition or the time of day or night. LPD can also be incorporated directly into Unmanned Air Vehicle (UAV) control systems to ensure that automated UAV launch and recovery occurs during the most optimum and safest time period possible. LPD works alongside the established aircraft landing procedures and after being extensively trialled by Navies worldwide, has been proved to offer a substantial increase in safety for ship board launch and recovery routines for both manned and unmanned air vehicles. LPD supplies the real-time information concerning ship’s motion as a function of aircraft operational limits and measurement of ship’s pitch, roll, surge, sway, yaw and heave to the pilot and crew via a hangar mounted Pilot Information Display (PID), which indicates with clear symbols the current deck energy and the optimum opportunity to take off and/or land the aircraft. The principle of LPD is based on the rate at which a vessel can displace fluid due to hydrodynamic forces. 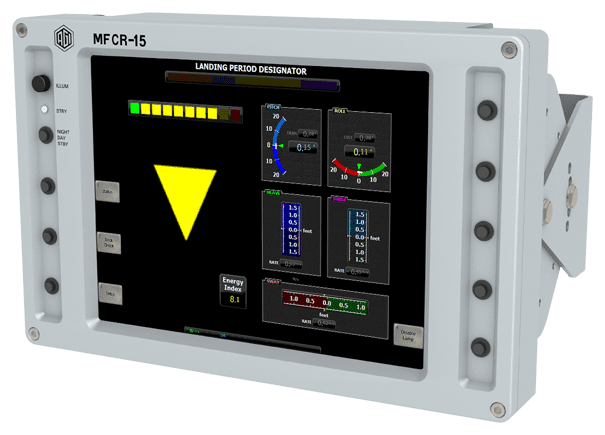 LPD supplies real-time information concerning ship’s motion as a function of aircraft operational limits and measurement of ship’s six degrees of motion from directly underneath the vessel’s flight deck. This information is processed by the system’s LPD algorithm and expressed as the ship’s Energy Index (EI), which relates ship’s motion to an EI scale. An EI of 0-4 indicates a safe quiescent deck, an EI of 4-10 indicates a caution deck and an EI of above 10 signifies an unsafe, ‘out of limits’ deck.